Of all of the sports offered by sportsbooks, golf is the one where you’ll find the longest odds available. This is due to the fact that the majority of tournaments will have a field size well in excess of one hundred; making for events where you’ll regularly sees three or even four figure odds available for much of that field. Of course, these large fields do not make it particularly easy to pick those winners, but when you do the rewards are most definitely there. Golf also has an advantage over many other sports in the fact that it is played pretty much all year around, so you won’t have to wait over the summer or the winter for the new season to start. By far and away the most popular market on any golf tournament is the ‘To win the tournament’ market. As more and more golf is televised throughout the year, you’ll find these win markets on a large number of events, including the PGA tour, the European tour, the LPGA, the Champions Tour and the Web.com tour and most weeks will see at least three or four events going on at the same time. Generally the markets will appear on a Monday evening for the tournaments that start on a Thursday, although the bigger events such as the Majors will see these markets formed weeks before. In general you’ll find one or two players in most markets who might be single figures to win the tournament (when Tiger Woods was in his prime around a decade ago, these single figures would be particularly low) but after these, you’ll find some mouthwatering prices. And it is certainly not uncommon for golfers at odds of 100 to 1 or more to win – not something you ever see at the majority of other sports. Aside from the win market, you’ll find a number of other enjoyable betting options at golf, especially for the more prominent events. Similar to the win market, you might find a sportsbook offering odds on a player to finish in the top 5, the top 10 or even to make the cut. The margin of victory is also a popular option, where you can predict the number of shots the event will be won by, or whether it will go to a playoff. Daily 3-balls and 2-balls are also offered by a number of sportsbooks, where you’ll wager on which player in the group will score the lowest on the day. In a similar vein you’ll find match bets on which of two players will finish higher in the whole tournament. Other interesting bets include whether there will be a hole in one at a tournament, which of a group of players will perform the best (grouped by nationality perhaps, or grouped as ‘former winners’ or ‘rookies’) or who will be leading after day one? In recent years, live and in-play betting has gone from strength to strength, where you can take an interest at any point during the four days of a tournament. Perhaps you want to wait until a player has played their first round, or wait to get involved until the tournament really becomes serious on a Sunday afternoon – the choice is yours. There are a number of strategies you can employ in making your golf betting as profitable as possible. The two most popular factors used are current form and course form. The current form of a golfer is obviously hugely important, as you’ll certainly want to avoid players in some kind of slump, so using the recent results of a golfer are vital in making an assessment. Form within a tournament can also be a nice indicator too – a player who shot a 66 last Sunday to storm up the leaderboard and finish joint third is much more attractive than the other player in joint third who shot a 78 and threw away a 3 shot lead on the back nine. Golf is certainly a game where course form has a huge impact as some courses might suit longer hitters, some might be ideal for those with a great short game, while others still might be better for a player who can make good use of a fade or a draw – so look out for those players who have performed well at the course before. Although form and course form is hugely important, the majority of those gambling on golf will be using these methods. You can therefore go a little deeper to further your edge. Ask questions such as ‘Might the player be tired after playing for 3/4/5 straight weeks?’, ‘Will the player be tournament ready after a month off?’, ‘Has the player played on a different continent last week and had little time for preparation?’ You should also focus on the weather, as the draw can have a huge impact – a player ‘enjoying’ the worst of the conditions on days one and two might have little chance before they’ve even hit a ball. 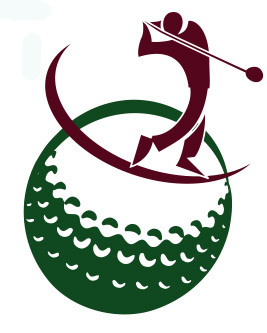 Fortunately there are a number of resources online where you can find a lot of stats about any number of golfers – www.pgatour.com , www.europeantour.com and www.lpga.com all being notable examples. One site you should certainly use is www.owgr.com where you’ll find a rundown of every tournament result for a player in the last couple of years on all tours (simply type their name into the search box and it’s all there). This is especially useful for those players who you might not know too much about, such as a European or Web.com player playing in a PGA tour event or at a Major Championship. Virtually every sportsbook will offer the popular ‘To win the tournament’ market, but some sportsbooks have particular strengths when it comes to golf. 5Dimes are perhaps the best all-around site, offering both very competitive odds and a wide range of markets, some of these innovative, such as match bets where one player receives a handicap. Betway is similar to 5Dimes, though for non-US bettors, offering a comprehensive range of tournaments and possibly even more markets and are particularly strong when it comes to the live betting aspect of the sport. Finally, Bovada are one of the biggest US sites and come into their own when it comes to the biggest events, famed in particular for their range of prop bets based around the biggest names in the sport. Golf has a unique place in the gambling industry, the one sport where large odds winners are certainly not unusual and where placing just one bet can give you four days of excitement. With such long odds available, it’s not easy, but there is no finer feeling than identifying the player you think will perform for the week and then watching them being interviewed with that trophy in their hands on the 18th green. Spend time studying the event and you’ll gain that all-important edge over the sportsbooks. As the great Gary Player once said, ‘The harder you work, the luckier you get’.